The Cal Young faculty, staff, administration, students, parents and community will work together to provide a safe, caring and respectful community that encourages everyone to grow intellectually, creatively and socially. 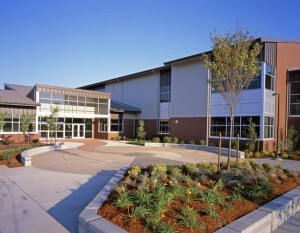 Cal Young Middle School provides an active, comprehensive instructional program designed to prepare students to succeed in high school and to meet or exceed state standards. In our state-of-the-art facility, students receive sequential instruction in music, fine arts, world languages and other elective courses that pique student interest and meet the developmental needs of middle-level students. Students at Cal Young access their own iPads through a 1-to-1 technology program. The use of technology and 21st-century skills has become a primary focus at Cal Young with the support of community involvement and stakeholder input. Our staff and faculty are proud to offer 4J students access not only to these physical resources, but even more pleased to offer exceptional instruction in all content areas on how to use these devices productively and meaningfully to enhance their individual educational growth. Our commitment to preparing your children for today’s needs can be actively observed every day in each of our classrooms and through strategic professional development and focused collaboration agreed upon by the Cal Young faculty. Cal Young provides a positive, caring, supportive learning environment for all students, emphasizing academic excellence, respect and responsibility.